Because pianist John Escreet composes songs that are vivid and variegated in mood, tempo and complexity, he has been able to garner top-notch talent for the five albums he has released since 2008, two years after arriving in New York from his native England. 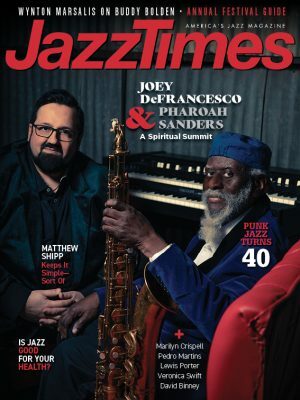 His latest ensemble includes perennial cohort David Binney on alto and soprano saxes, Chris Potter on tenor sax, Matt Brewer, another mainstay, on bass, and drummer Jim Black, who is crucial to the entire enterprise. On his previous three discs, Escreet deployed Nasheet Waits and then Marcus Strickland, two timekeepers especially adept at providing complementary ballast to a band. Black, like Escreet, naturally gravitates toward being a more stimulating presence. He’s a better fit for Sabotage and Celebration, which careens as forcefully as its title suggests; Escreet wrote the bulk of it in the fall of 2012, during the tumultuous presidential campaign season and while being holed up in his room during Hurricane Sandy. Escreet and Black are the guiding catalysts for the majority of the seven-song program, in which the instrumentation ranges from a simple piano trio to a core quintet augmented by a five-piece string section, guitar, two brass and three vocalists. The two most ambitious pieces are the title track and the closing number, “Beyond Your Wildest Dreams.” The former begins with lonely piano chords and dreamy strings but quickly morphs into heaving, shrieking chaos, until Escreet and Black break out in an increasingly thrilling gallop. “Wildest Dreams” is predictably ethereal at the onset, before a gorgeous extended passage reminiscent of the European folk forms of Dave Douglas. 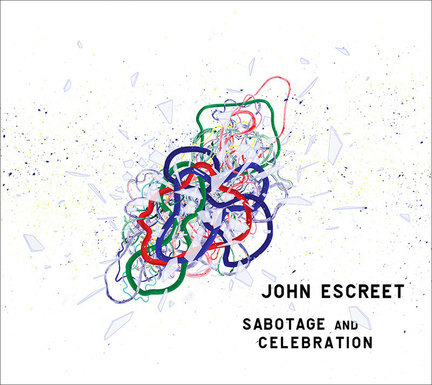 If you like composers who shun categories and shirk from compromises, Escreet and Sabotage and Celebration are for you.